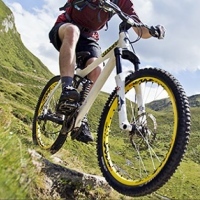 A Huge Selection of Bikes and Biking Accessories! 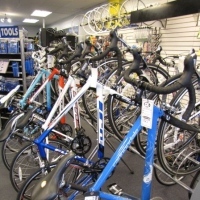 Established in 1978, Bay Ridge Bicycle World is a family-owned business that provides a large selection of mountain, road, triathlon, BMX, children's, and exercise bikes. Plus, you'll find all the biking accessories you need. The store is open 7 days a week with expert mechanics available all year round. The staff will ensure that all bikes are properly sized and will provide gear demonstrations. Test rides are available, as you long as you present a picture I.D. If you're commuting via public transportation, Bay Ridge Bicycle World is conveniently located near the 95th Street subway station. A Friendly Biking Group in NY! An exceptionally fun biking club in New York, Bike Around Long Island allows cyclists to get together and enjoy exercise, the outdoors, adventure, and companionship. The club requires no sponsors, meetings, or fees. Most of the New York bike trips take place on Long Island, though the riders sometimes travel to other places in the state. Sometimes they'll combine cycling with other tourist activities. 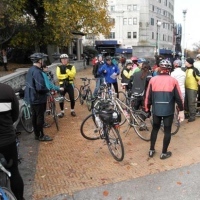 Bike Around Long Island is a casual group and welcomes cyclists of all levels. To join the group you simply log onto the website, get on the e-mail list, and complete a sign-up form. A Great Pro Shop for Cyclists in New York! The Westchester Bicycle & Pro Shop is an authorized dealer of such major bicycle brands as Bianchi, Cannondale, Diamondback, GT, Haro, Raleigh, and Specialized. 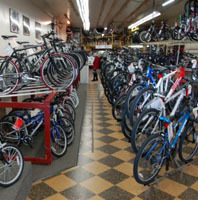 You'll also find a huge variety of accessories like clothing, shoes, helmets, pads, and top-quality bike parts. If you own a bike, the staff will happily evaluate it and provide you with efficient service, so that you can get back on the saddle as quickly as possible. If you're looking to purchase a bike, all bikes purchased at the shop come with lifetime warranties for adjustments. You can even rent bikes at perfectly affordable rates! If you're commuting by subway, the shop is conveniently located near the Pelham Bay Park station. Enjoy the Best Bike Rides in New York! 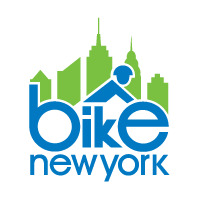 Bike New York is a non-profit organization with a mission to promote and encourage bicycling through education, public events, and collaboration with community and government organizations. The organization is best known for producing the TD Bank Five Boro Bike Tour--a 42--mile, traffic-free ride in which about 32,000 cyclists participate. In addition to the Five Boro Bike Tour, Bike New York offers regional rides in beautiful areas outside of New York City; including the Twin Lights Ride in Monmouth County, New Jersey. Check the website to keep updated on all sorts of great upcoming NY bike rides. Enjoy NY Bike Tours that you won't soon Forget! With Bike and Roll New York City, you'll get to pedal through such renowned NY attractions as Central Park, Brooklyn Bridge, New York Harbor, Battery Park, Prospect Park, and Riverside Park. If you need to rent a bike, there's a huge selection for you to choose from. Bike rentals are available hourly, daily, or weekly. 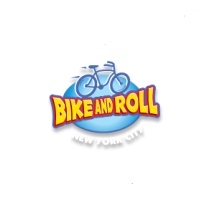 As America's leading bike rental and tours company, Bike and Roll is committed to delivering excellent service to all of its guests. Whether you're a local or a tourist, the self-guided rides and bike tours are perfect for exploring New York and all its beautiful attractions in a way that's both enjoyable and environmentally friendly. Join the Rider's Club for free and earn all sorts of cool discounts! Group Bike Rides for all types of Riders! 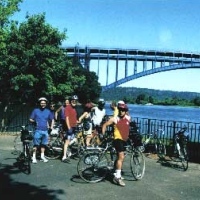 Active for over 25 years, the Staten Island Bicycling Association was created to promote cycling and cycling safety in its region. Appealing to riders of all skill levels, the NY bike club is catered towards those who enjoy group bike riding, but don't crave the competition of racing. The membership fees are affordable, with discounted rates for families. If you're unsure of whether or not a cycling route is appropriate for you, the website gives you detailed information on each route and whether it's best for novice, intermediate, or advanced riders. Join the SIBA Yahoo! group if you're interested in receiving up-to-date ride and event information. A Top Destination for NY Bikers! Find major brands of bicycles at affordable prices at the ADT Bike & Skate Shop. Brands include Trek, Gary Fisher, Giant, Intense, Specialized, GT, Schwinn, Fox Racing, Mongoose, and Yetti. You'll also find BMX brands like Animal, Shadow Conspiracy, Odyssey, Fit, Haro, Orchid, and Premium. The shop is owned and operated by riders, and remains a fixture in the NY biking scene. The atmosphere is friendly and laid-back, and so is the service. It's no wonder why the company has been in business for over three decades! Log onto ADT's Facebook page to keep updated on specials, as well as new products and events. Affordable Bikes and a Friendly Staff! See what an old school bike shop is all about at CK Cycles. 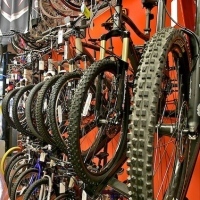 Whether you're a biking enthusiast, mountain biker, BMX street rider, or someone looking for a cheap bike; the staff at the shop will be more than glad to meet your needs. The shop carries a full line of bicycles and apparel. Manufacturers include Kink BMX, Scott, Cannondale, Raleigh, Haro, SE Racing, and Sun Bicycles. 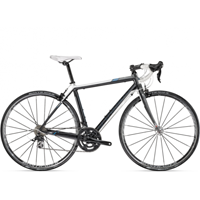 CK Cycles stands out amongst other cycling retailers due to its competitive prices and friendly staff. If you require bike repairs, the store's expert mechanics have over 20 years of experience working on bicycles. Introducing you to the dedicated bike culture of Brooklyn, Brooklyn by Bike was born out of a love for traveling around NY by bike. Follow the blog on the website to better educate yourself on all things biking in NY. If you're interested in riding with this fun and friendly biking community, check out the calendar on the website. You'll find a list of local bike rides and other events like bike repair workshops. You can also send an e-mail to brooklynbybike@gmail.com or enter your e-mail address on the website and keep updated on future bike rides in New York. Some of the Best Bike Tours in New York! Experience the real NYC via two wheels, when you take a trip with Bike the Big Apple. Tour such areas as Brooklyn, the Bronx, and Coney Island. Treat yourself to the most sweeping vistas of the city. Travel on miles and miles of NY bike paths. Feel the pulse of New York as you ride through its many diverse neighborhoods. Bike the Big Apple even received a Certificate of Excellence from the website, Trip Advisor. For over a decade, the company has been the largest and most successful bike touring company throughout all the five boroughs. The trusty tour guides will take you beyond such archetypal New York attractions as the Statue of Liberty and the Empire State Building. Explore wonderful tourist spots that are often overlooked by bus and walking tours! Great Tours and Bike Rentals in NY! 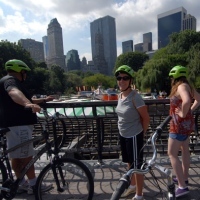 As the leading bike rental and tours company in NYC, Central Park Bike Tours serves thousands of satisfied customers each and every year. The company is located only one block south of New York's Central Park, making it easily accessible. Cherish a "green" NY experience by choosing a bike tour that best fits your interests and abilities. Or you can rent a bike and discover the city on your own. In addition to Central Park; the company offers tours in other parts of NYC like midtown, downtown, Brooklyn, and Harlem. 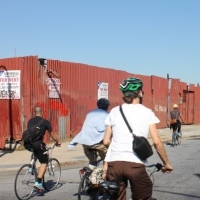 The fun and informative New York bike tours are perfect for locals and tourists alike. Keep updated on upcoming rides by following Central Park Bike Tours on Facebook. Thrill-a-Minute Mountain Bike Trails in NY! Enjoy over 60 miles of lift-served NY bike trails at Plattekill Bike Park! Advanced bike riders love the park's steep chutes and big, challenging drops. These New York mountain biking trails are known to give even the world's best riders a run for their money! It's no wonder why the park has served as the backdrop for several USA Cycling-sanctioned mountain bike races. If you're new to biking, the company offers "Learn to Bike" packages as well as camp programs. The full-service base lodge offers amenities like a retail shop, a full line of bike rentals, a cafeteria, and an outdoor grill. In the area you'll find other fun-filled activities like chairlift rides, hiking, and camping. Free Biking Day Trips in NY all Year Round! Whether you're a seasoned cyclist or someone who simply prefers to explore the wonders of the city via bike, you will have a blast with the Five Borough Bicycle Club. For a very small membership fee, you can join one of the friendliest bike clubs in New York! The club offers free day rides within the five boroughs of New York City every weekend, year-round. The members also engage in affordable weekend trips to places like Cape Cod, the Berkshires, and Pennsylvania Dutch Country. All rides are led by trained leaders who will ensure your safety and make sure nobody gets lost. During your day rides and weekend trips; you will receive an education in how to ride safely in traffic, proper use of hand signals, the rules of the road, and how to quickly inspect your bike before each ride. Ride the Coolest New York Bike Trails! The New York City Mountain Bike Association is a nonprofit organization meant to foster a community of mountain bikers in the five boroughs, as well as promote fitness and a love for the outdoors. In addition to building and maintaining bike trails in New York, the group programs events and races for youth and adults throughout the NYC area. 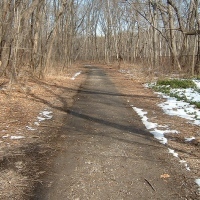 Trails included in the club's expeditions are Highbridge Park in Manhattan, Cunningham Park in Queens, and Wolfe's Pond Park in Staten Island. If you possess a love for mountain biking, sign up for a membership on the website. Subscribe to the NYCMTB's newsletter to keep up to date on all the latest events and happenings. 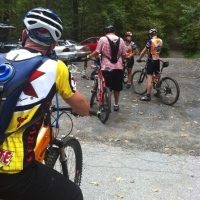 Choose from many NY Mountain Bike Trails! 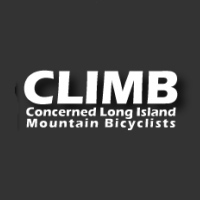 Concerned Long Island Mountain Bicyclists (otherwise known as C.L.I.M.B.) is dedicated to the safe enjoyment of mountain biking in New York. The non-profit advocacy organization consistently educates its mountain biking community on environmentally sound and socially responsible use of bike trails. Established in 1990, the club represents all levels of riders, from beginners to experts. The NY bike trails are located in Bethpage State Park, Calverton, Cathedral Pines, Cunningham Park, Eastport, East Setauket, Edgewood Preserve, Glacier Ridge Nature Preserve, Trail View State Park, Manorville Hills, Meadowlark Park, Rocky Point, Stillwell Woods, and various other places in or around Long Island. If you're interested in joining C.L.I.M.B., purchase an individual or family membership on the website. Join this Great NY Cycling Club! The Long Island Bicycle Club hosts rides that normally take place Saturdays, Sundays, and holidays. Rides depart immediately at 9:00 A.M. and you're encouraged to arrive 10-15 minutes early. Bike safety is strongly promoted during all rides, but each rider is responsible for his or her personal safety. Use of helmets is required and you must obey all NY state traffic laws. 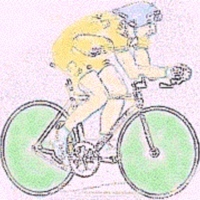 If you're a less experienced rider, all rides are graded according to difficulty. Leaders are not responsible for riders who go ahead of the group. The membership application is available on the website. If you have any questions or inquiries, send an e-mail to libc@bicyclelongisland.org. Fun Bike Tours in New York! Enjoy the unforgettable experience of biking in New York, with Blazing Saddles Bike Rentals & Tours. The company provides professional and experienced bike tours at many destinations throughout the NY area. Bike across the Brooklyn Bridge, in Central Park, though uptown neighborhoods, and throughout other exciting sections! Blazing Saddles accommodates all riders, from beginners to experts. If you don't own a bike, you can pick from a series of bike rentals for prices as low $25.00 a day. All NY bike paths start from the South Street Seaport in downtown Manhattan. Both guided and self-guided tours are available. Choose the Cycle and Celebrity Package and add on general admission to Madame Tussaud's Wax Museum in NY. Good Rides, Good Times, and Good People! 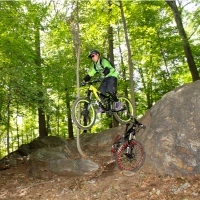 A New York biking club, Brooklyn Mountain Biking focuses on all aspects of the sport (XC, freeride, and downhill). Each ride is categorized according to style and rider ability. Members come from all areas of NY, and range from beginners to seasoned veterans. Membership perks include 10% of all purchases at Red Lantern Bicycles in Brooklyn. The website contains a list of all the members, along with their bios, and group reviews. The club is constantly looking for new riders, so if you're interested in joining, click the "Join Us" button on the website. For good rides, good times, and good people--BKMTB is the group for you. One of the Great NY Bike Paths! 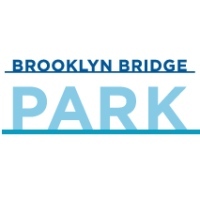 Welcoming bicyclists from all areas of NY and the rest of the globe, Brooklyn Bridge Park contains a designated bike path that offers riders beautiful views of the park's surroundings. The Greenway Path contains a two-way bike lane, as well as a pedestrian walkway, and is open during regular park hours (6 A.M. to 1 A.M.). Please keep in mind that cycling is only permitted within the designated bike path. You cannot ride on park paths or pier promenades. Bike racks are available throughout the park. The Greenway Path is currently under construction, but when it's completed, it will be a 14-mile route for recreation and transportation, extending from Greenpoint to Sunset Park in Brooklyn. A Pleasant Bike Trail in New York! Located on the western edge of Van Cordlandt Lake and along Tibbetts Brook, the Putnam Bike Trail in New York measures 1.5 miles and occupies an old rail bed of the New York Central Railroad's Putnam Division. Throughout the trail you'll notice the former rail line's passages integrated into the park's landscape. You can enter the trail in the northwest corner of a large parking lot along Van Cortland Park South. Just south of the entrance you'll find remnants of an old passenger platform. As you travel further north, you'll cross a small bridge that spans an arm of Van Cortlandt Lake. Across from the lake are beautiful views of the Bronx skyline. Van Cortlandt is known as the largest freshwater lake in the Bronx. It's now home to ducks, geese, swans, and other waterfowl.